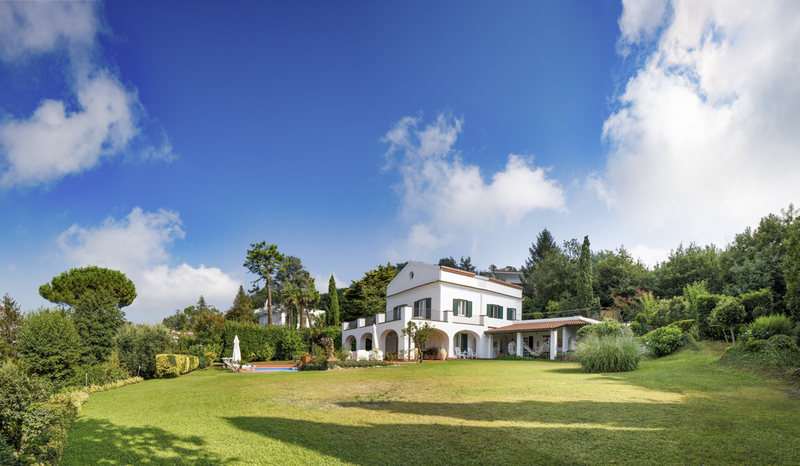 Villa Racemosa, named after the distinctive flowering plant, is an impressive, prestigious gated oasis of elegance and tranquillity. 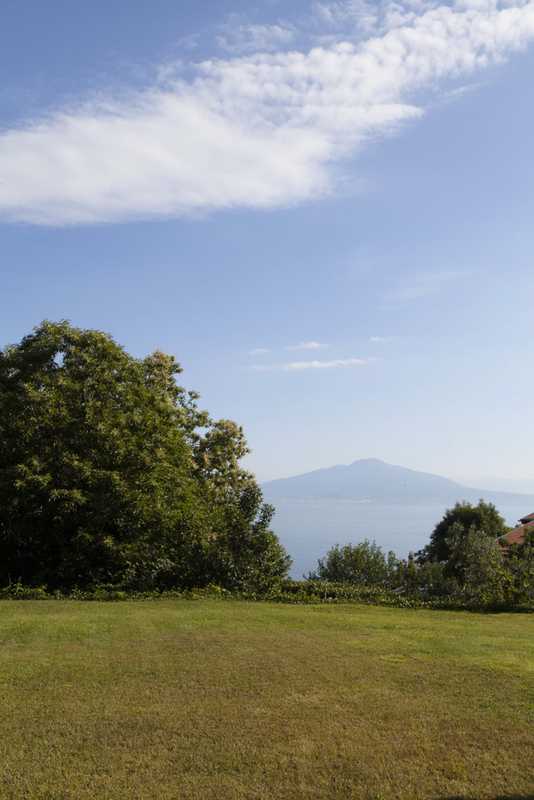 Located just a short drive from Sorrento and overlooking the bay of Naples, this place combines pure seclusion within a fresh, verdant space while being optimal for exploring such a vivacious corner of Italy. Swinging up through the tall, wrought iron gates into the private drive amid lush lawns and foliage, guests will know they’ve entered a magical and special private holiday world. 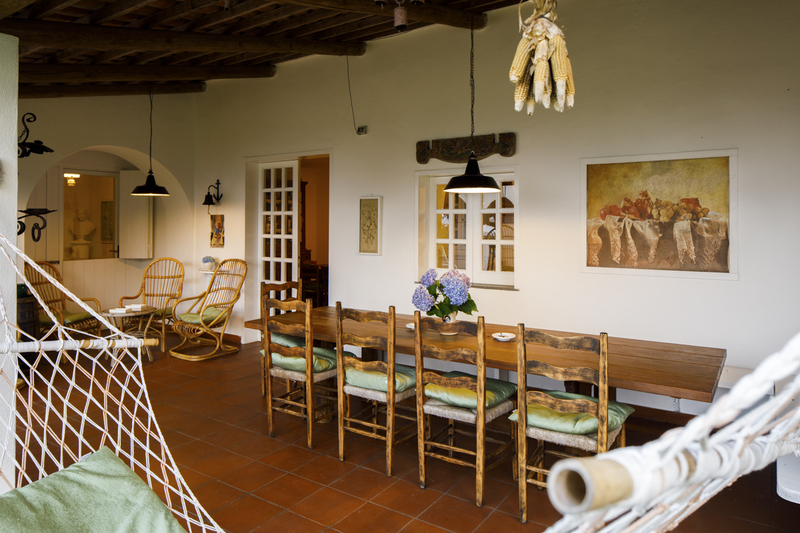 Stunningly secluded, guests can truly “get away from it all.” Traditionally styled and finished with modern components, this house also has many personal touches by the original artist inhabitant - frescos on the walls around, so this place combines panache and style with simple Italian living. 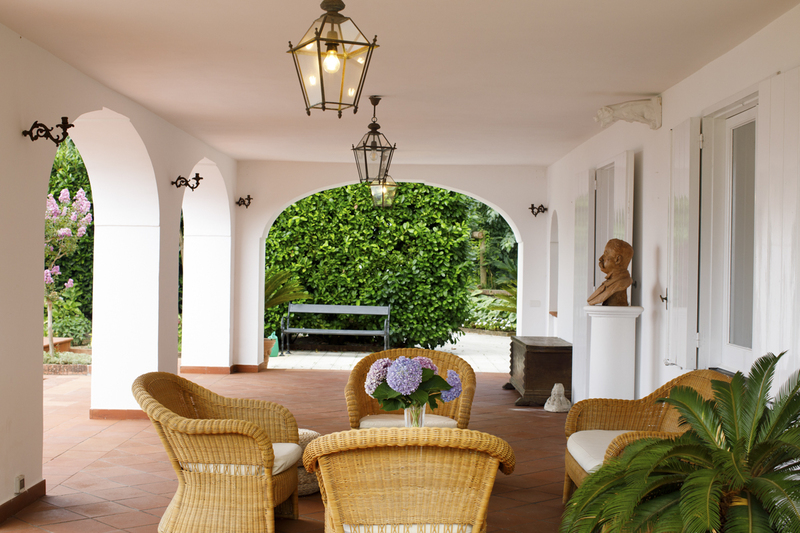 For the sea, downtown nightlife, or country seclusion, Villa Racemosa can offer it all. 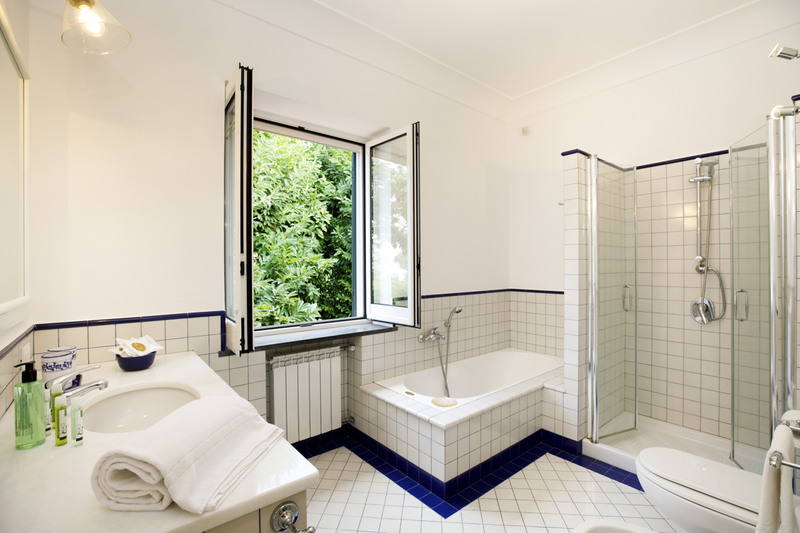 This spacious villa is full or personality and quirks; the interiors boast original tiling, traditional kitchen complete is with original bread oven, quirky touches abound like the little porthole window looking onto the sea. 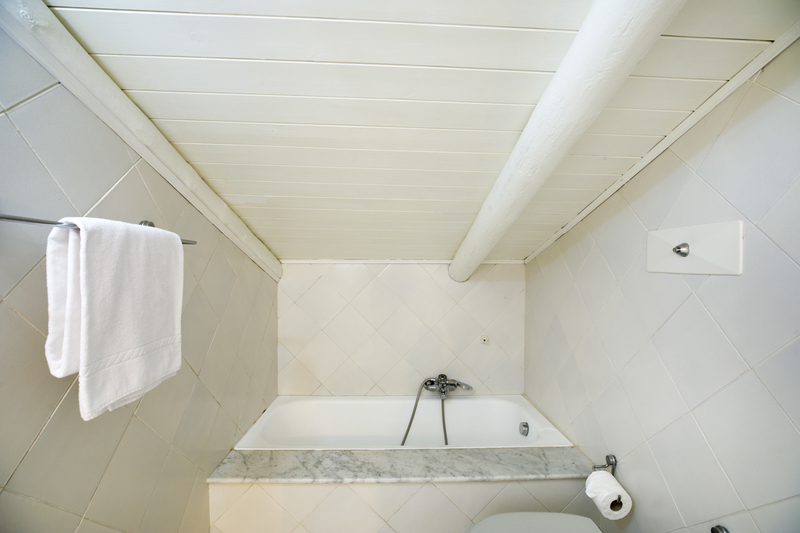 Simplicity and warmth are the tones of this villa - furthermore, it feels very much like a “home” rather than having that temporary or overly commercial holiday home feel. 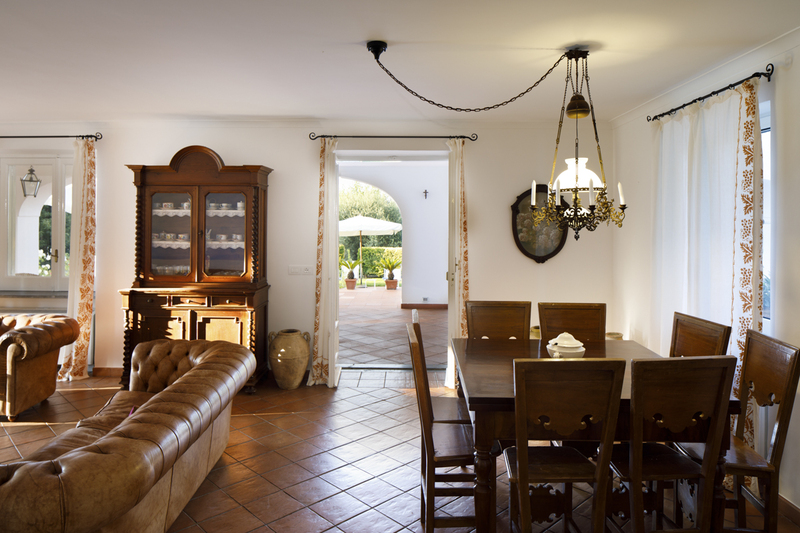 Villa Racemosa can accommodate large families or groups, or two families holidaying together as one party. 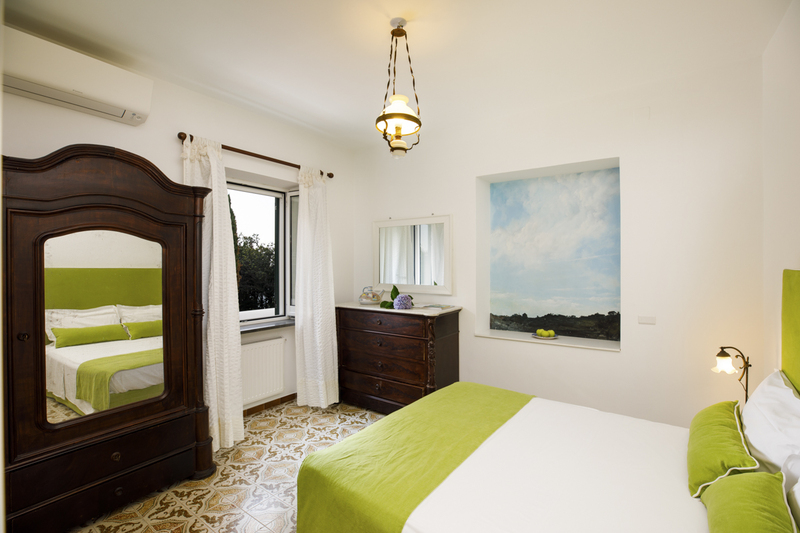 There are five bedrooms, four of which offer king size beds and the fifth offers twin beds. 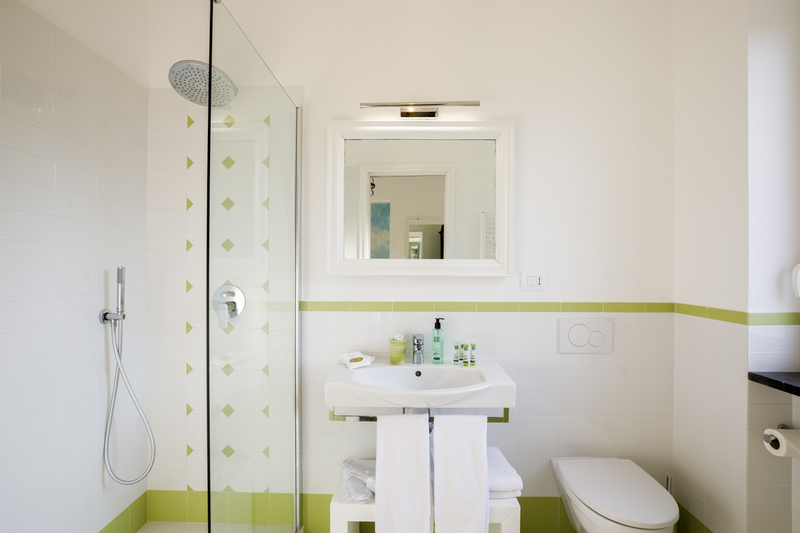 Each of these rooms has unique finishing touches and splashes of colour. The living spaces are in keeping with the tone of the villa; simple quality, natural timbers, understated luxury without the “bling” factor! 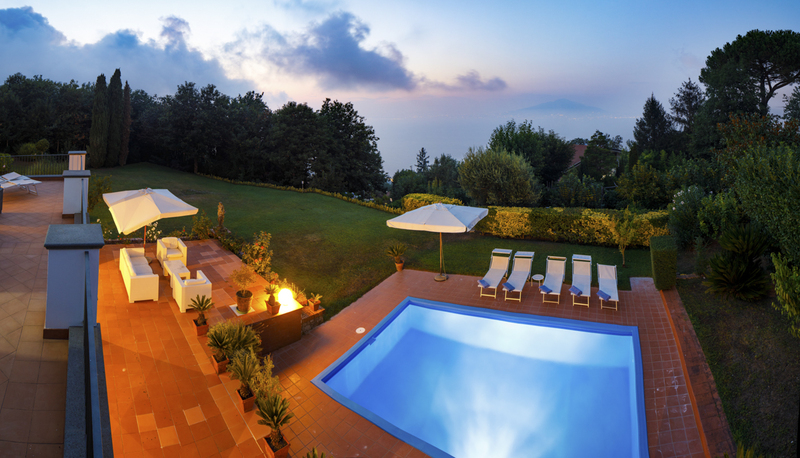 With Mount Vesuvius casting an impressive silhouette at sunset and luscious green lawns and thickly wooded borders, this is truly an Italian garden of Eden. The daily maid service is a nice additional touch. 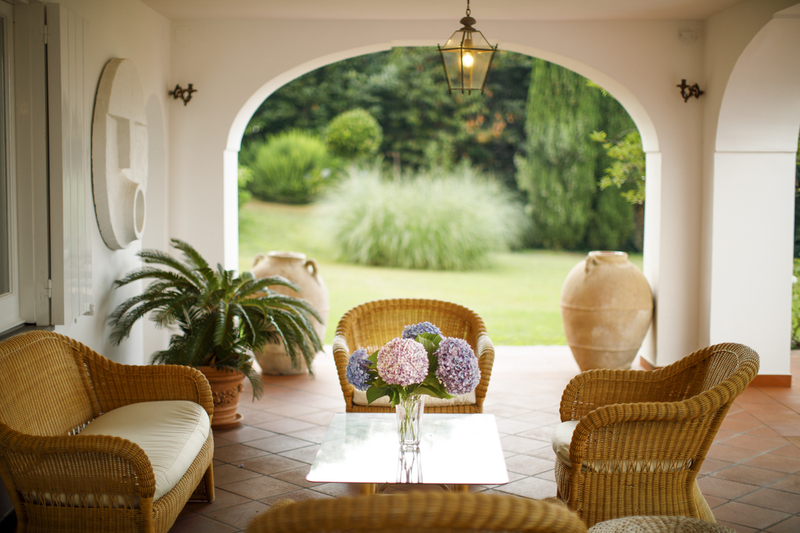 The outdoor spaces are what make Villa Racemosa so special: the grounds are impressive, both smart yet natural, they offer smart outdoor Italian living at its finest. A refreshing and lush green escape from the incessant (yet fun!) 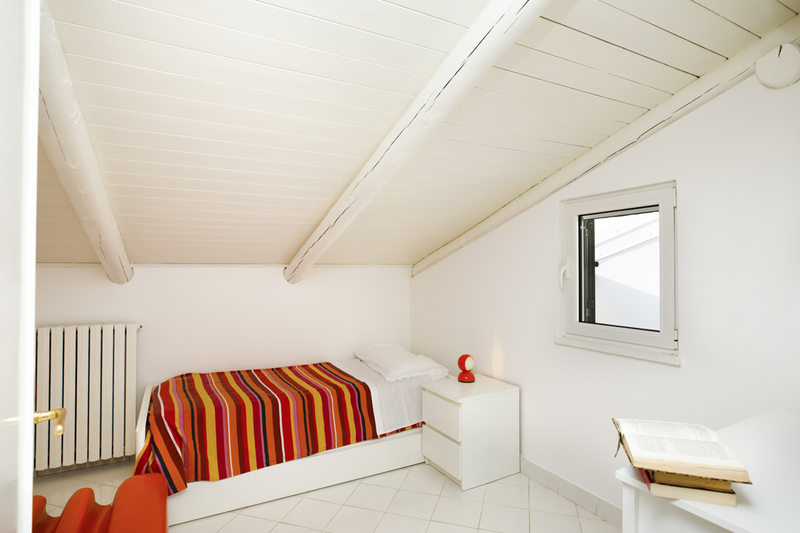 noise and bustle of Naples, guests will immediately feel the pace drop. The sea views across Naples are nothing short of magical. 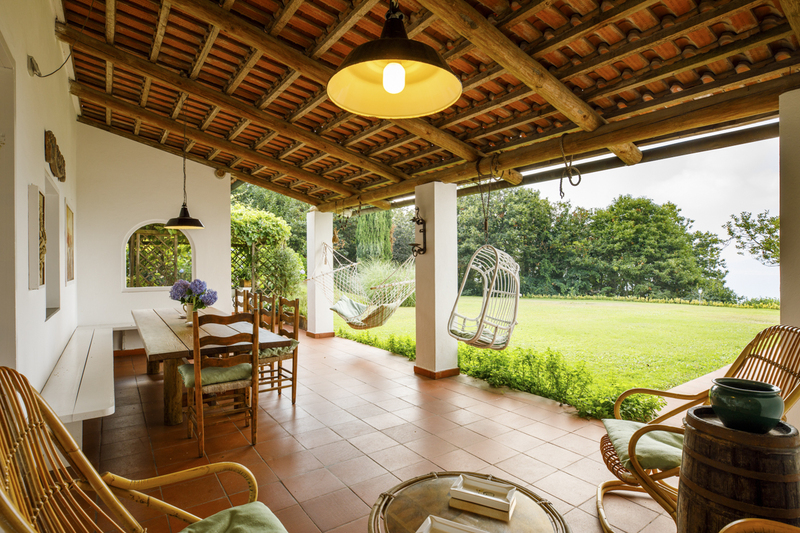 Outdoor dining is within the spirit of this villa; with pretty shaded verandas, hanging hammocks and chairs, poolside seating or the barbecue area, the options are multiple. The piece de resistance regarding outdoor dining would be the chestnut table by the barbecue which can seat up to twelve! 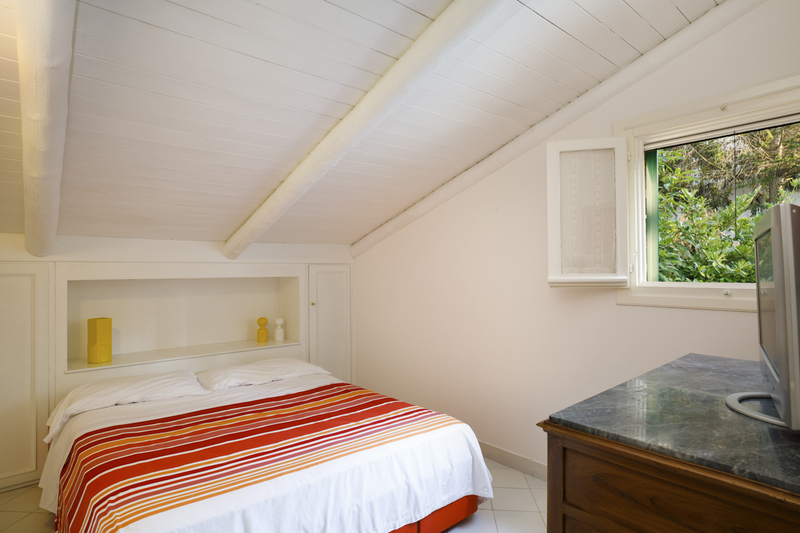 Ample parking space, no shortage of bathrooms and plenty of secluded green corners of the gardens, this place is ideal for any type of holidaymaker. 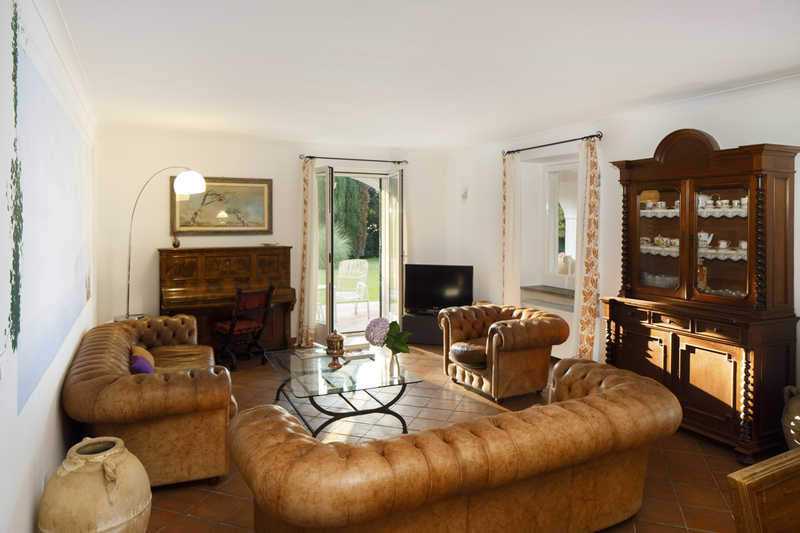 At just 1.5km from the village of Saint' Agata sui Due Golfi with lovely local restaurants, shops and amenitiesm, this villa is ideally placed. 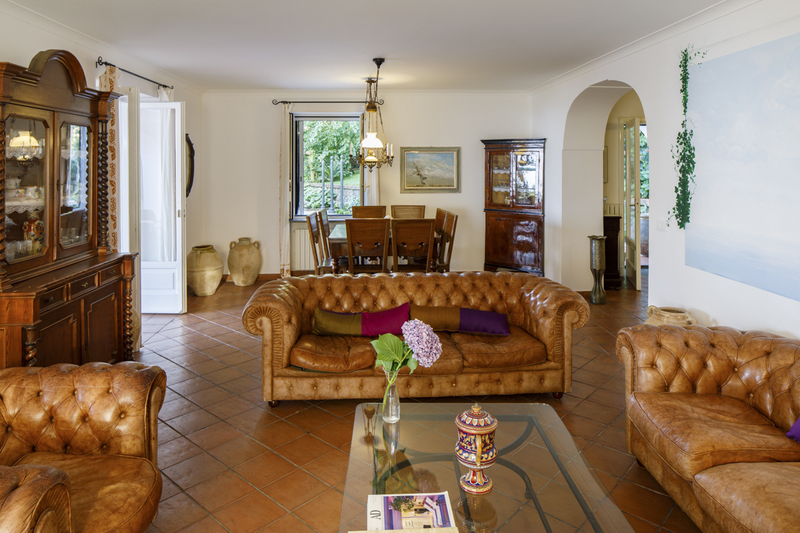 Sorrento is some 7km away and is sitting on the clifftops that separate the town from its busy marinas, it is renowned for its sweeping water views across the waters and central Piazza Tasso, the cafe-lined square. The centre of Sorrento is steeped in history; within a warren of narrow alleys the Chiesa di San Francesco is a sight to behold; a 14th-century church in rich, opulent Italian style with tranquil cloisters. 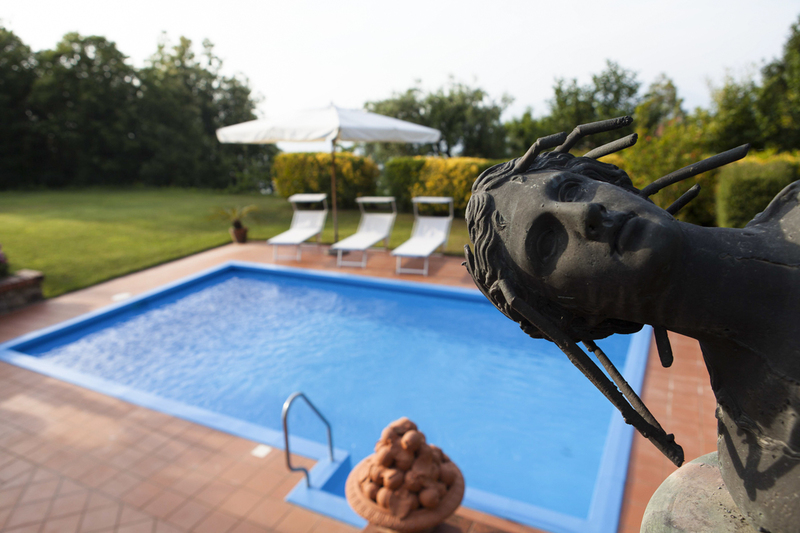 Also, on the villa’s doorstep is the magical, historical site of the Bagni della Regina Giovanna - famous for the legendary tale of Queen Giovanna; a natural seawater lagoon inside the old Roman ruins. 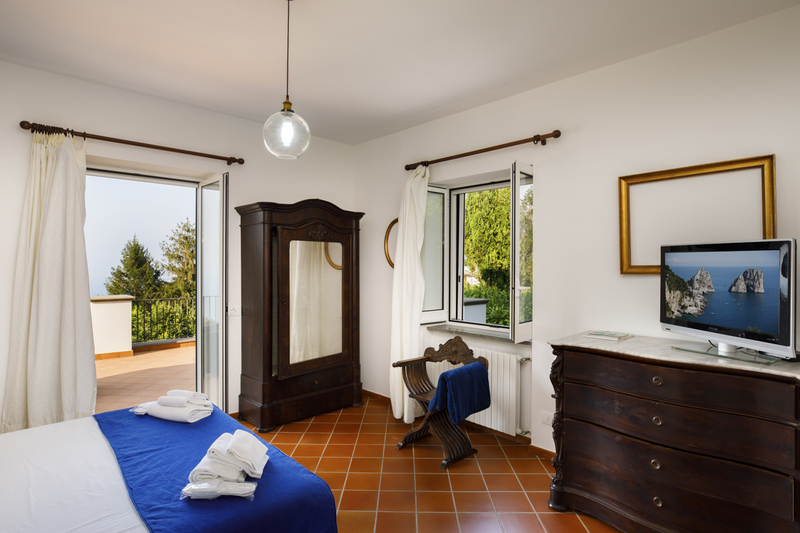 The area around Sorrento is rich with culture, and the elegant Amalfi coast offers so much. For a taste of the dolce vita Positano is the wonderful picture-card perfect day trip with stunning coastal roads. 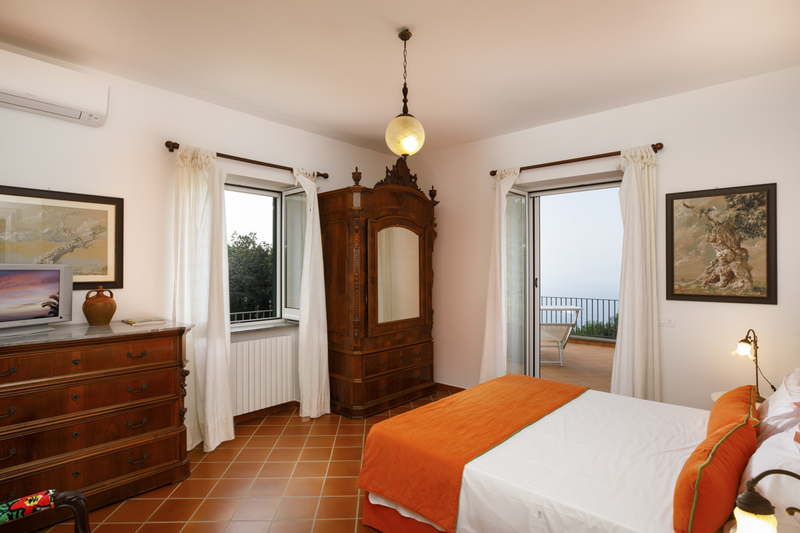 Amalfi itself is so attractive with its ochre tones, set in a fertile region known for its fresh produce, boat trips and long sandy beaches are the tones of the day. Seafood restaurants are aplenty, as are small, little authentic towns set within the cliffs. Pompeii requires a full day (and plenty of cooling drinks in the heat of the summer.) This ancient preserved town has been crystallised in time; the statues are a sobering and unforgettable sight. Parents of toddlers should be aware that the streets are cobbled; the cafe offers a good selection of ice lollies, however.